North County Internists (NCI) is a single specialty medical group comprised of five physicians board-certified in Internal Medicine. Our office is located in Poway, conveniently near Pomerado Hospital and other medical complexes. For lab tests or radiology procedures, we can refer patients to facilities in the immediate area. NCI accepts all types of insurances.� For patients over the age of 65, we are a licensed Medicare provider and accept many supplemental Medicare plans, including AARP and Tricare for Life.� We also accept coverage from most Health Maintenance Organizations (HMO's).� Those patients contracted with an HMO can join our practice through�Sharp Community Medical Group (SCMG), a well-respected and successful Independent Practice Association (IPA). 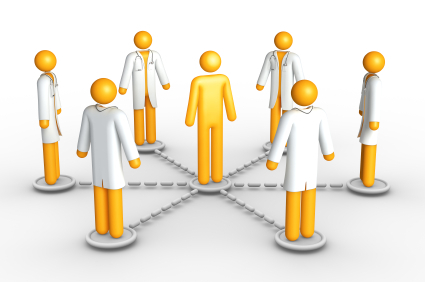 There are almost 800 primary care and specialty physicians associated with SCMG, and member physicians currently provide medical care to over 165,000 people.� We also work with most Preferred Provider Organizations (PPO's).� Patients are encouraged to click on the Health Plans Link to see if their particular insurance provider is contracted with our office.